Discussion in 'Android Devices' started by mpw, Aug 10, 2010. Anybody got any ideas for a good alternative to the ubiquitous iPad? Has to be a good media player, ideally something that can stream BBC iPlayer FiveOnDemand & 4OD. Plus all the expected email/calendar/browsing. And of course portable, so nothing with a 13"+ screen (if I were going that big I'd just get a MacBook. Other than the iPad, I've so far considered the Vaio P-Series and a plethora of netbooks. How about the Samsung Tab that's to debut next month (and should be available commercially not long after)? 7-inch, 1024x600 resolution (!) and all. Bet it's Hummingbird-powered, too. It'll certainly be worth a look. If the notion adam ink ever grows legs that's supposed to be a beast of a tablet with your choice of a handful of os's, including Android. Not seen it before, but does look interesting; but until it's a real product kinda moot. If it ever arrives that's my tablet of choice though. That PixelQi screen makes for a great e-reader thats easy on the eyes and a fully functional Android Tablet with great hardware. I had 2 7" inch chinese tablets, a SmartQ v5,and an Archos and they were no difference than what I can do on my Galaxy S or Droid Incredible. Seriously, they were just larger screens but all had the same resolution. The Samsung Galaxy Tab is the only one with any real possibilities at 1024x600. But, they need to get developers on the ball. See the attach screenshot of an iPad vs iPhone 4 SSH/Terminal app. Completely 2 different UI but the same application. The iPad version extends more functionality with extra keys and control options for terminal access. The app is iSSH. On Android, the equivalent is ConnectBot. Connectbot looks stupid on a 800x480 7" screen. No extra functionality. It would be nice to have extra keys for real terminal access. On the iPad, apps have extra modal dialogs and extra screens. It makes a difference. Sorry for the lousy quality, I took the picture with my Droid Incredible. Bottom line, in order for an Android tablet to succeed, it needs developer and app support to take advantage of the larger real estate. I might be slightly bias and hypocritical for posting this on my new iPad but whatever I love my iPad already, got my droid and iPad (turned some heads at the apple store hehe) and I enjoy the polishedness of the software of apple and the openness of of android. Now I just need to figure out how to tether my droid to my iPad. Does 2.2 have the hotspot feature on all phones? I'm supposed to get the update in the next few weeks according to the version guy. That review was not very kind to that device and for good reason. android really isn't a proper OS for netbooks or traditional computer layouts. It's perfect direct touch screen inputs though. 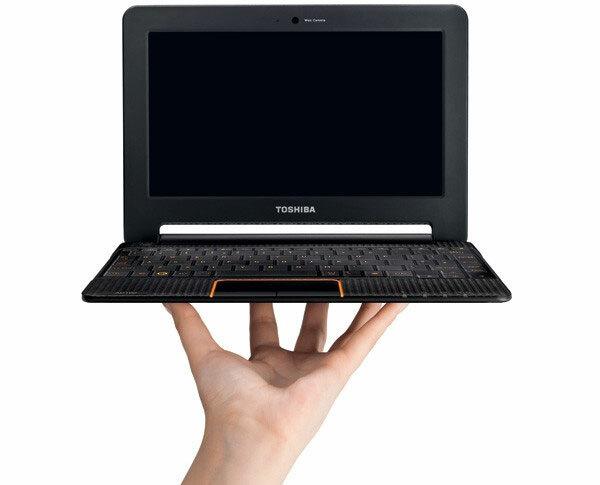 For a great netbook, IMHO, you are better off maxing out the specs and running a flavor of linux that handles them well and that you like, instead of trying to make Android do something it doesn't do as well. The more popular linux distros are very, VERY good and much lighter than any of the commercial OSs. That Plus at least Ubuntu now has the ability to run Android apps.